Depending on your position, this year, Arkansas has either been a winter wonderland – or a cold, dreary place. Up here in the northern part of the state, school districts have already missed over twelve days of school due to the weather, prompting us to ask – how do snow days impact student performance? Across the nation (and world), there is an ever-growing debate regarding the length of the school day, the length of the school year, and the calendar of the school year. Some research indicates that longer schools days lead to higher student outcomes; while other research points to no apparent gain in student achievement related to more school days. Others attribute more instructional days to increased student achievement; and these proponents often point out that high performing nations have longer school years. Other research shows that an expanded school calendar, with a shorter summer break, decreases any potential summer loss that may occur, particularly in low-income students. 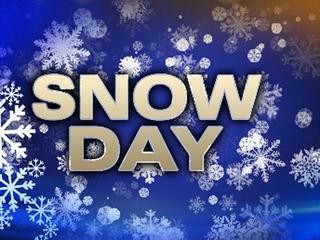 Now, to answer our question… how do snow days impact student performance? The existing research provides conflicting answers. In Arkansas, schools are required to hold 178 instructional days. Some schools in Arkansas choose to have a longer school year (particularly many of the charter schools around the state). Other schools in Arkansas have adopted a year-round schedule. Regardless, if days are missed due to weather and the total number of instructional days drops below 178, school districts are required to make up missed days so that the students received at least the minimum number of days (unless otherwise approved). Perhaps relevant to this conversation is the (little-known) fact that Arkansas law allows for a school district to adopt a four-day school week, with longer instructional days. Right now, however, no school district in the state follows this schedule. However, given the current snowy and sleety situation across the Natural State, perhaps this law provides a solution. If the state would allow mid-year adjustments to the 4-day schedule, perhaps districts could make up missing days by shifting to a 4-day week by adding minutes Monday through Thursday, and then holding school on Fridays to make up for days missed due to snow ??? Regardless of what responses our school leaders choose, hopefully they can be as interesting as this Kentucky principal was when announcing a snow day to the student body! !